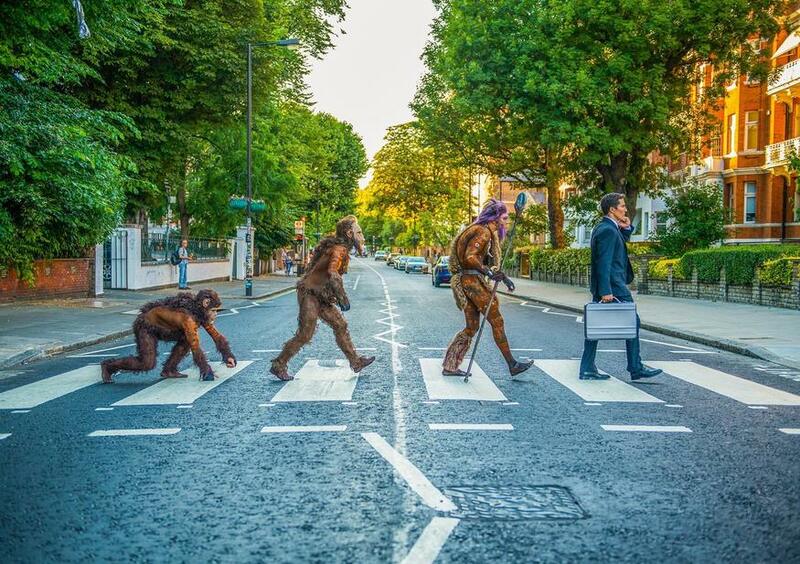 Actually, this shot — taken on the iconic zebra crossing outside Abbey Road Studios — is of cast members of TOTEM. The new Cirque du Soleil production, which arrives at the Royal Albert Hall in 2019, is inspired by the evolution of man. Judging by the trailer, there's also a touch of 2001: A Space Odyssey. And, er, The Crystal Maze. Cirque's Beatles show, LOVE (blimey, they do shout their titles don't they) is still playing in Las Vegas. Quite what the crossing has to do with TOTEM, though... dunno. Maybe they misheard the lyric as "You say you want an evolution..."